Dr. Mohan relies on Lucidchart to streamline communication and facilitate collaboration for his students. Students don't have time to master a new software in a single semester, but Lucidchart allows students to easily create UML diagrams and other visuals in no time. Students can easily share their work with one another within Lucidchart, unlike their previous tool which required compressing and sharing files and reopening them on their collaborators' machines. Lucidchart allows Dr. Mohan to easily review students' work so he can provide faster and more specific feedback. 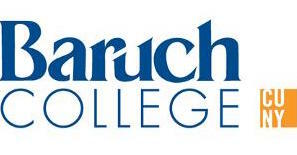 Baruch College serves as one of New York City's flagship public colleges and offers an exceptional education across a wide array of disciplines at an affordable price. The university has more than 18,000 students, who speak more than 110 languages and trace their heritage to more than 170 countries, and has repeatedly named one of the most ethnically diverse student bodies in the United States. Baruch College is known as one of the most diverse schools in America, but that diversity loses its value when students have trouble communicating. Dr. Mohan teaches Systems Analysis and Design at Baruch College, and he and his students desperately needed streamlined collaboration. The CASE tool that Dr. Mohan and his students used previously was adept at developing UML diagrams but made it difficult for students to share their work. Students had to use other tools to compress and share files and then reopen the files on their collaborators’ machines. In looking for a new solution for his students, Dr. Mohan had three critical components in mind. First, the tool needed to be flexible so it would be suitable for homework, lab work, and everything in between. It couldn’t be dependent on a specific operating system, device type, or computer network. Dr. Mohan also wanted a program that would allow him to unobtrusively check on students’ progress in the editor. This would allow for faster feedback and objective fact-checking when students required more personalized instruction. Finally, the ideal tool had to be a stand-alone product that’s easy to use. Cash-strapped students hate to buy expensive add-ons for courses, and they rarely have time to master a difficult software program within the short time span of a semester. Dr. Mohan became aware of Lucidchart when an outreach email from the company landed in his inbox. A Lucidchart support professional guided him through the license set-up process and helped add collaborators to the team. He discovered Lucidchart was the perfect solution meeting all three of his criteria. Dr. Mohan has found Lucidchart to be surprisingly useful for other scenarios, as well. He has started using Lucidchart for research projects he is working on with remote colleagues. It allows them to create research models collaboratively.